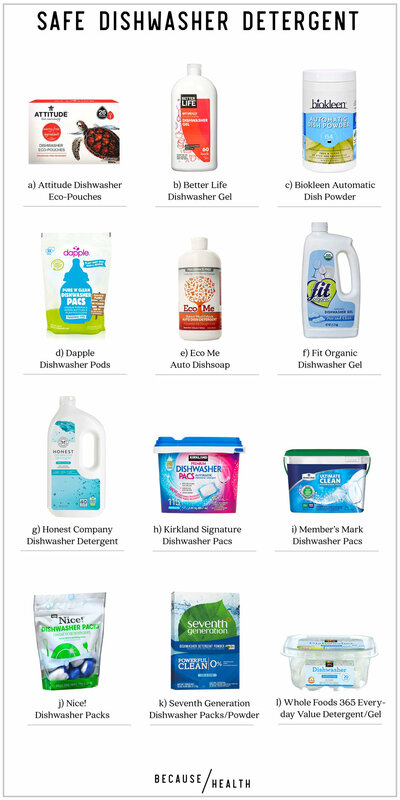 We did the work for you and researched all the safe, non-toxic options for dropping in the dishwasher with all those dirty dishes. Don't worry, they will come out sparkly clean without any yucky chemicals. And, for the dishes that can't go in the dishwasher, check out these safe dish soap options.